As Christmas approaches, it’s time to stock up on stocking stuffers. These mini gifts will fit in a stocking and delight any sophisticated, tea-loving child this Christmas. 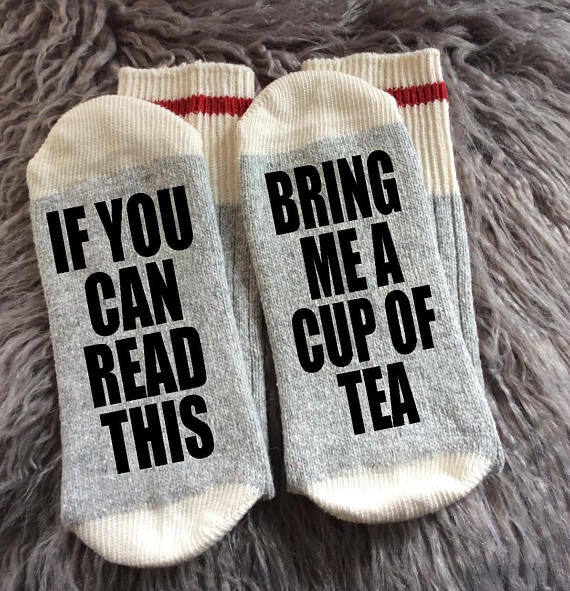 These funny socks are perfect for your teenage son or daughter who loves sipping a hot cup of green tea or rooibos. The socks come in a variety of colors—dark grey with red trim, light grey with red trim, and light grey with pink trim. 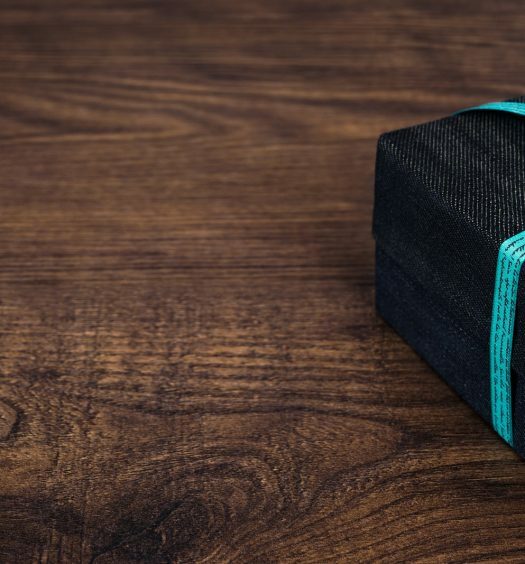 With this gift, your kid will actually like getting socks! 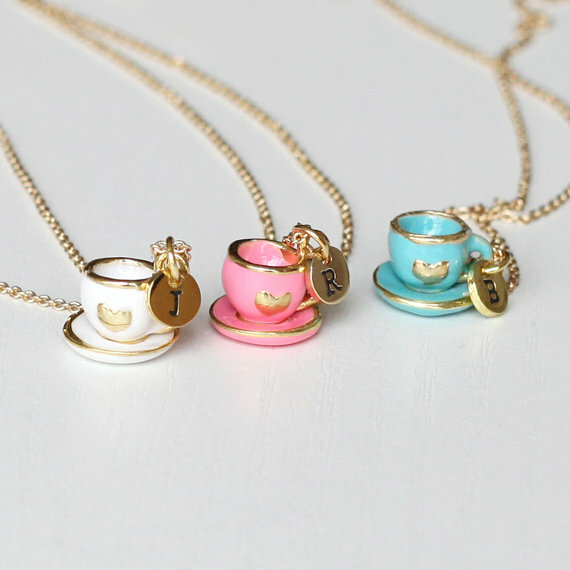 Give your son or daughter an adorable teapot necklace this year. You can personalize the necklace with your child’s initial, choose between blue or pink, and customize the chain length. 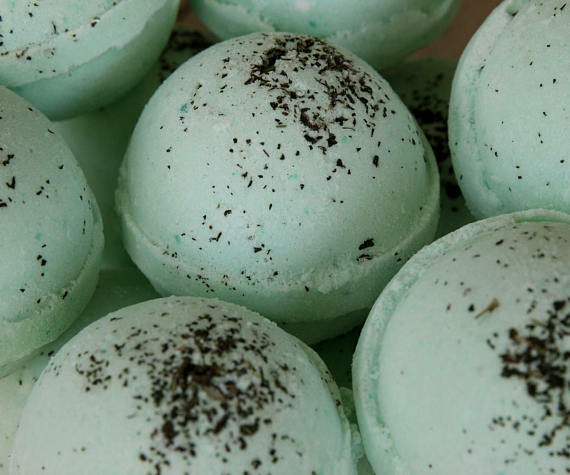 Give your youngster a fun accessory for bath time with this green tea bath bomb. Young children will enjoy turning the tub green, while teenagers will use the bomb to enjoy some elevated relaxation time. This product is made with shea butter, which will soften skin, as well as green tea and cucumber, providing a lovely scent. Each bomb weighs 4.5 ounces and costs only $3.50. 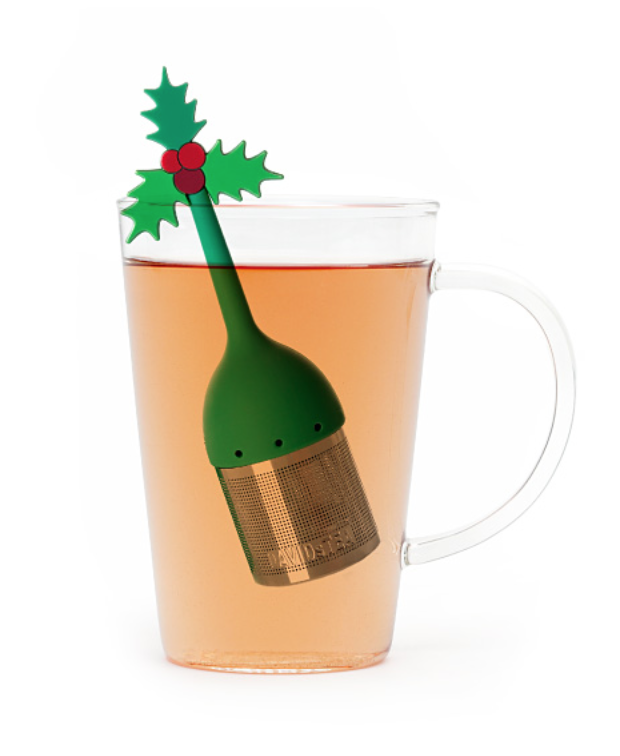 4) Holly Tea Infuser With Saucer – $15 Give your son or daughter this adorable tea infuser, and they’re guaranteed to want to sit down and have a cup of tea with you. The infuser is made from stainless steel and is super-finely perforated, keeping all tea leaves from slipping into the liquid. And it comes with a saucer to keep tea time mess-free. Stuff a stocking with this delightful children’s book by Tony Mitton, suitable for children ages 5 and up. 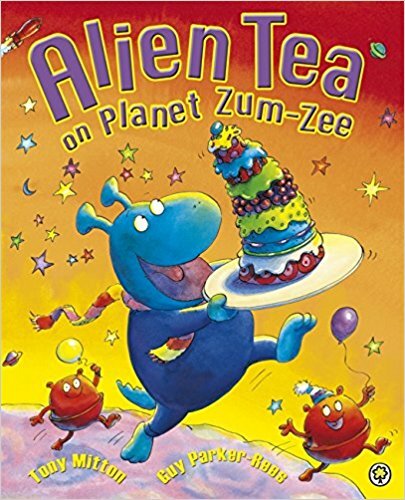 In this story, your child will visit an alien planet called Planet Zum-Zee for afternoon tea. Fun rhymes and playful illustrations make this book a treat for grown-ups and kids alike. 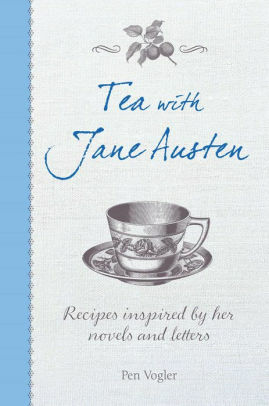 Do you have a child obsessed with Jane Austen? Give him or her this cookbook full of recipes inspired by the novels and letters of the prolific author. Recipes include English Muffins inspired by Pride and Prejudice and Buttered Apple Tart inspired by Emma. 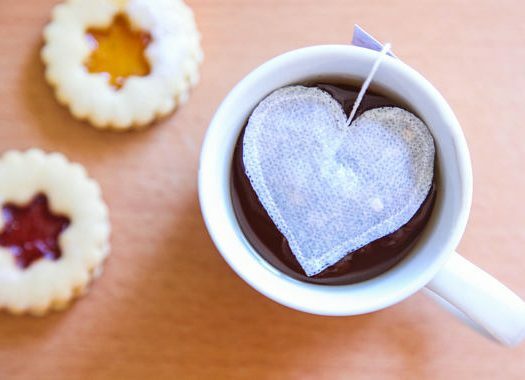 Your tween or teen will love concocting these recipes and then enjoying them with a cuppa and her favorite Jane Austen novel. 7) Jolly Teas Sachet Travel Pouch – $12.00 Want your teen to drink healthy away from home? Instead of buying a sugary soda at school, help your teen choose tea by gifting him or her this 100% cotton travel pouch of teas. 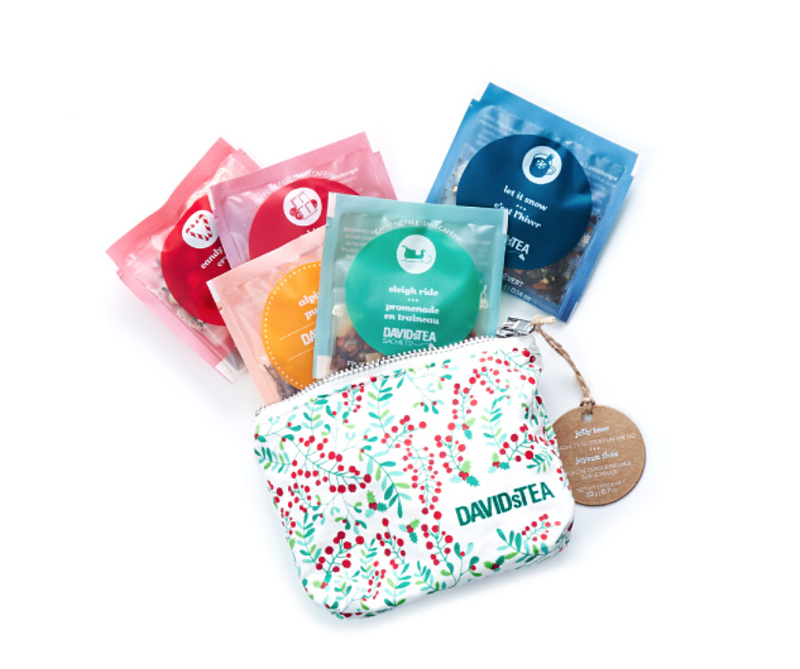 The pouch comes with 5 tea sachets to get your son or daughter set up, and can then be re-filled with her favorite tea sachets or tea bags indefinitely. 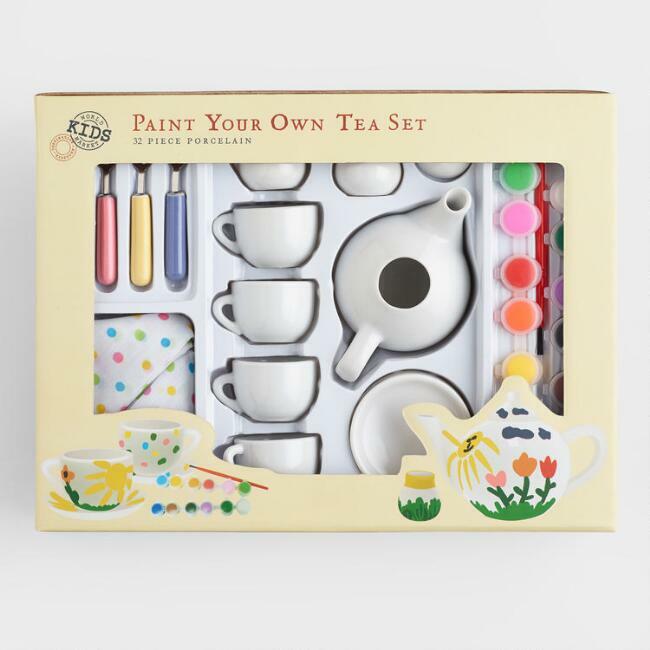 This miniature-sized tea set needs to be painted, and your little one is just the tot to do it. The set comes with 4 teacups, saucers, spoons, and napkins, as well as a teapot, creamer, and sugar bowl. 12 mini paint pots and a paintbrush will help your son or daughter take this plain white set to the next level. Once painted, the ceramic items should be baked in the oven. Recommended for children 8+.